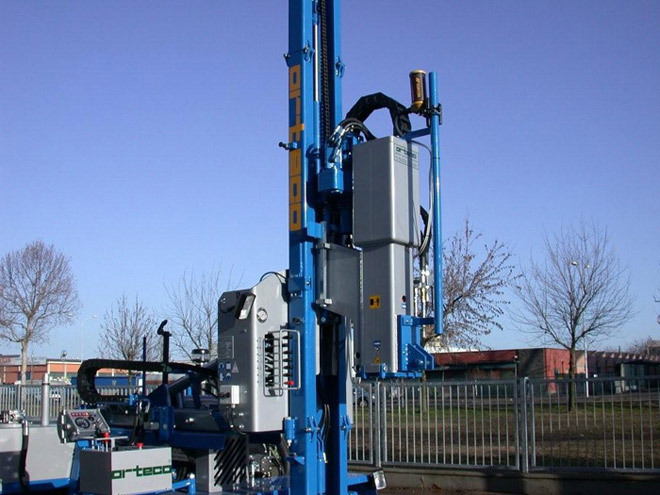 The ORTECO 1000 FEX pile driver is a new machine created to meet the need to drive posts under difficult conditions, off-road and with steep gradients: a situation often encountered when working on photovoltaic installations. Crawler-mounted with iron chain and rubber-coated iron shoes. 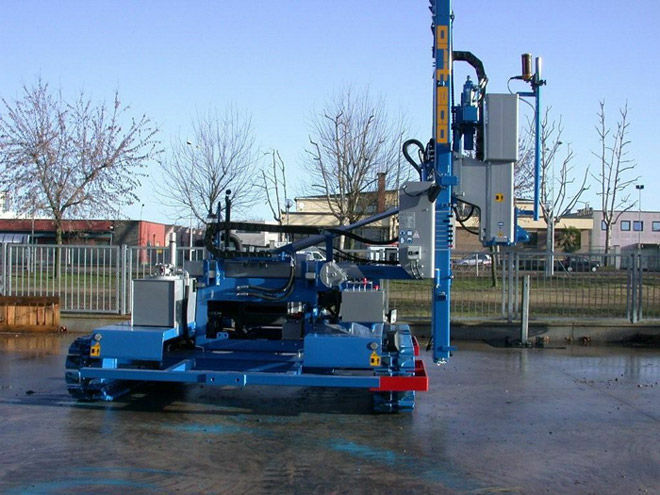 This solution permits the crawler to operate on difficult terrain without suffering damage and be used on asphalt and cement without damaging their surfaces. It may also be loaded on ramps in perfect safety. 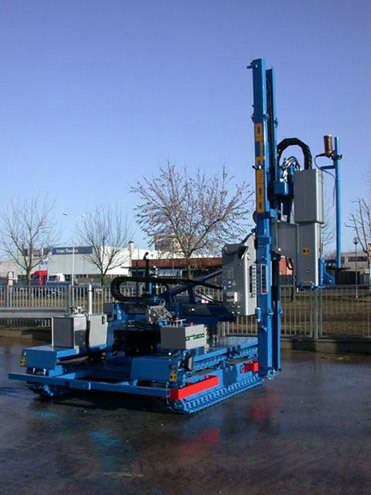 We adopted a crawler larger, length mm 2.500 and width 200 mm, with a hydraulic device can be enlarged up to mm.2700. This solution gives to the pile driver greater stability in the work pending. The result is a truly complete, dependable, versatile, compact machine. 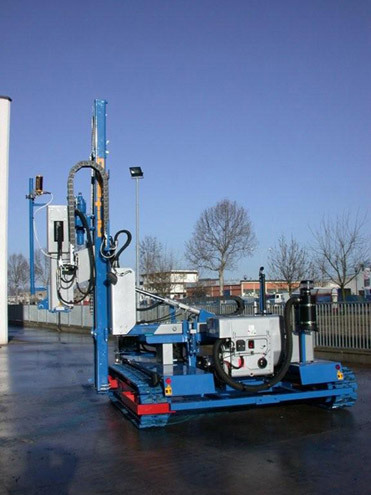 We’re satisfied with the results and plan to produce a large number of machines of this type in the near future. Do you want to view these documents? Fill out the form to get access.